One member’s spouse is Canadian with a recent trip leading to a Canadian Club tasting and another’s spouse is American. This member last brought us a Westland Trio and now a special evening focused purely on Bourbon! But these were no ordinary run of the mill bourbons – nope! 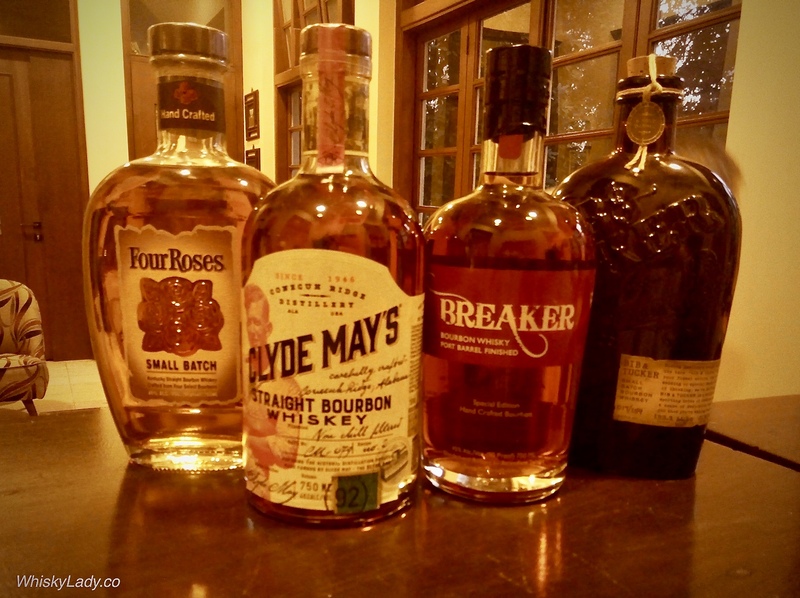 Other than Four Roses just to whet our whistles, the other three from Alabama to California are not your standard garden variety brash bourbons. What did we think? Read on and discover! Our favourite? There was zero doubt that the Clyde May‘s came out on top for its delightful sweetness plus made a terrific complement to the cigar initially. And next up? 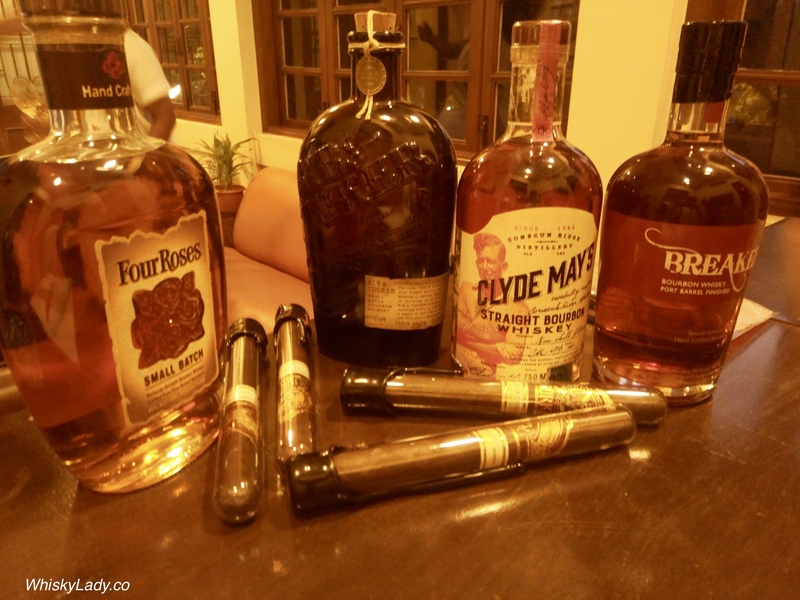 The Bib & Tucker was the most interesting… and as the cigar became spicier, most of us shifted to pairing with it instead. For the rest? Four Roses the most accessible – both in palate and as a bourbon. Whereas the Breaker Bourbon Port Barrel Finish? Not sure it quite worked for us… pity. This entry was posted in American, Beyond Scotland, Bourbon, Whisky General by Carissa Hickling. Bookmark the permalink.